Autodesk's Pixlr Express (Android version) has been selected by Google as one of 12 of the Best Apps of 2012. I use Pixlr Express for it's quick filters, cropping, borders, and effects. It is easy to use and very powerful. It is an update to Autodesk's Pixlr-o-matic app that has several preset filters (etc.). The Express version has many more options to it. If you take pics on your Android phone and like sharing them with friends or family then this is a great app to help you spruce up your photos. Autodesk has released an update for the mobile versions of their free CAD program AutoCAD WS. 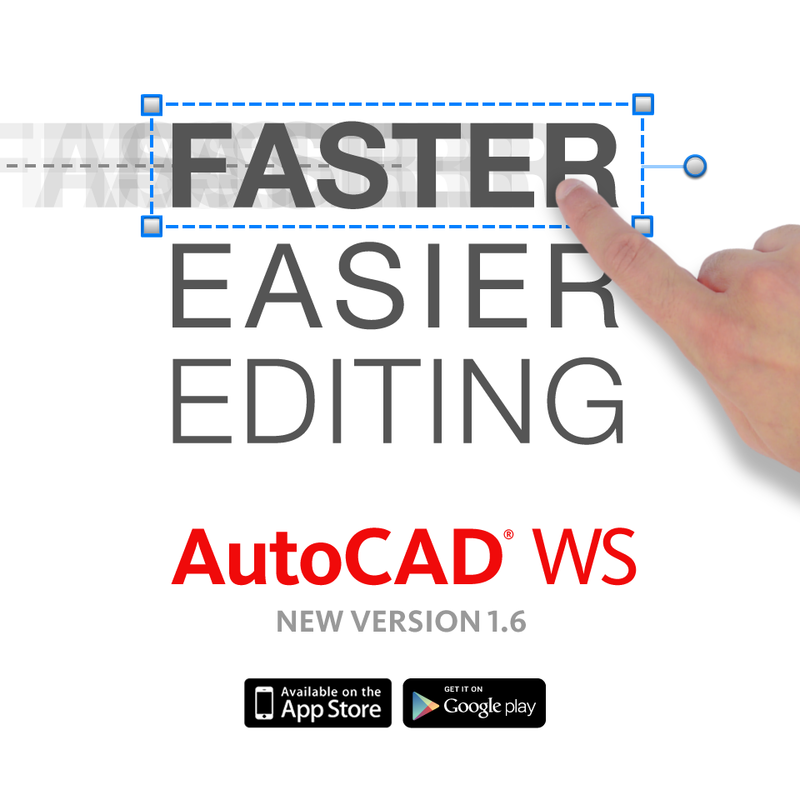 AutoCAD WS 1.6 is now available for iOS and Android. CAD-a-Blog held it's first ever contest. To enter, readers had to like Infinite Skills on Facebook and either follow CAD-a-Blog on Twitter, Facebook, Google+, or sign up for our email alerts. You could have also tweeted or posted on Google+ about the contest with the hash-tag #CADaBlogDVD2013. Whether you're just starting out, or a seasoned professional, it can be tough to keep up with the software innovations from Autodesk. Let Sybex's team of expert authors help you get up to speed with the 2013 versions of Autodesk's most popular software packages. In addition to our full line of books, we can now offer you more than eight hours of video training for AutoCAD, Revit Architecture, and Maya from the Sybex authors you've come to rely on. To save 35%, enter code ADK13 in the Promotion Code field as you're checking out. Please read our Discount Terms and Conditions for more information. November 14th is GIS Day around the world. GIS Day is an international forum of geographic information systems technology users. This day is set aside each year for those users to get the word out about their industry. If you work with GIS or in the field in some way you may want to participate in GIS Day (which is today by the way.) Many of us use GIS related information every day and don’t even know it. It’s how we get to work or school. It’s used by Police and paramedics to find you faster. Politicians used it in the recent election. Utility companies, governments, health officials, distributors engineers, environmentalists, television companies, car manufacturers, candy bar makers, UPS, the Post Office, schools, NASA, soccer coaches, boaters, moms and dads all use GIS and the information this field creates, organizes, and provides. Our modern world would not exist without GIS. Check out eh official GIS Day website and see what you can do to celebrate. Make sure to check out the Discover GIS site. Support-related information recently added or updated on the Autodesk knowledge base. Who is eligible to join the Autodesk Education Community? 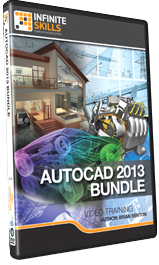 Win an AutoCAD 2013 Training DVD Bundle! Who wants to be a winner? There are two way for you to be a winner! 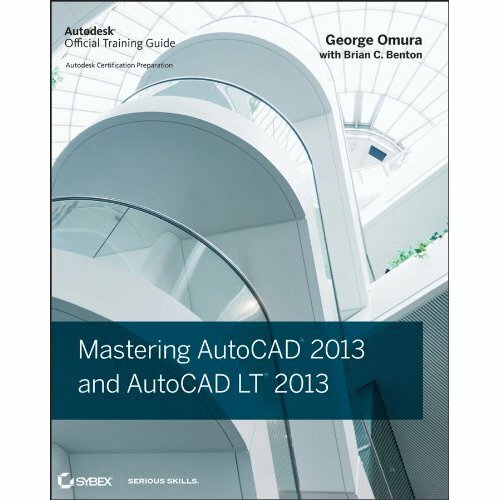 One is to buy my AutoCAD 2013 training DVD and skyrocket your skill set above all others! The other way is take part in CAD-a-Blog’s first ever contest and win a copy of my AutoCAD 2013 Training DVD!! AutoCAD WS now Supports AutoCAD Civil 3D Drawings! According to the AutoCAD WS Blog (http://www.autocadws.com/blog), Autodesk’s mobile CAD program, AutoCAD WS, now supports Civil3D drawings. According to the blog, all AutoCAD WS platforms, web, mobile, and mac, support Civil3D drawings. The AutoCAD WS web platform doesn't seem to be handling my Civil3D drawings yet. I’m waiting to hear back from Autodesk with more information. I will let you know when I hear more. Everything seems to be working after further testing. I had to upload all reference files and data source files first. User error there on my part. If you have any more difficulty viewing the files make sure the setting PROXYGRAPHICS is set to "1" which turns it on. In the mobile app platforms of AutoCAD WS you can change your viewing settings to 3D solids. This displays the Civil3D objects quite well. Especially any surfaces that you may have. CAD-a-Blog.com is about to have its very first contest! I am still working out the details so please stand by. It looks like I will have something up here on Monday. AutoCAD 2013 comes with many great new features and tools to help you get the most out of the software. In this post we’ll go over 10 new features and upgrades that you should know about in AutoCAD 2013. AutoCAD 2013 gives you the power to create designs in nearly any shape or form you can imagine. By pushing and pulling on faces, edges and vertices you can model extremely complex objects and modify the smoothing of surfaces. You can select 2d and 3d curves for quick and easy press-pull operation. Upgrading to AutoCAD 2013? Is Your Hardware Good Enough? If you are upgrading to AutoCAD 2013, I hope you take the time to see if your current hardware can handle Autodesk's latest version of their flagship software. If you aren't sure, then you are in luck. I wrote a four part series for CADspeed on this very topic. I hope this helps. I know I learned quite a bit researching the topic. Some Cool Stuff Coming to CAD-a-Blog Tomorrow! Users can download the new driver here. CAD-a-Blog – October Posts you may have missed but shouldn't have! Here are links to some posts from the month of October 2012 that you might have missed. Civil Project Workflow, Base Files, Proposed Linework and As Builts-How do you handle it? For all of the posts from October 2012 for CAD-a-Blog. It looks like they were true to their word. Autodesk now has its first free Windows 8 App, Sketchbook Express. And…it’s free! This makes sense because I believe that Sketchbook Express was its first mobile app for iOS and then on Android. If you are one of the people that picked up a Microsoft Surface with Windows RT last week, then you can get to work on Autodesk Sketchbook Express. The HP Designjet T2300 eMFP is a large format, inkjet color printer, scanner, and copier with web connectivity that allows users to print to it remotely on either their computer or via a mobile device (such as a tablet or smartphone.) 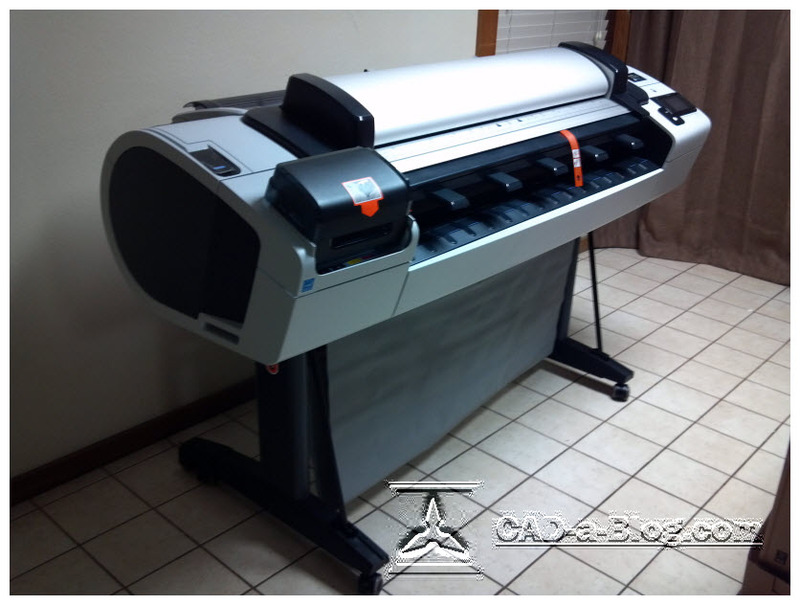 It has two media rolls for continuous printing. A color touch screen panel controls all the aspects of the device and a USB port next to the control panel where users can print directly from the USB drive. HP sent me a review unit (and this thing is a huge beast of a printer by the way) to test. Here I am sharing with you what I found. What I liked and what I didn't care for. In short, I really like this printer and I recommend it. 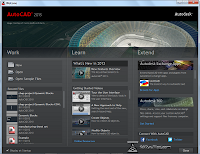 This is the first post in a series at looking at the newest release of AutoCAD; AutoCAD 2013. This article will take a look at the Welcome Screen. Autodesk changed the welcome screen in AutoCAD 2013. No surprise there; it seems to change every release. The welcome screen is the first thing you see when AutoCAD starts up. I don’t mean the splash screen I mean the screen that pops up (some would say intrusively) and has lots of buttons for you to click on. I wanted to take a moment and talk about it. The welcome screen has three main columns: Work, Learn, and Extend. Each column contains bits of information and links that will take you away to magical places. Ok, not really, but sort of. When working on specifically (but not limited to) civil site projects, like a residential or commercial site design (waste water, potable water, drainage, etc. ), I have used different types of workflows or standard to manage our data. In the past the places I worked at created a base file for all linework involved. I have also worked where we create two separate base files; proposed line work and existing conditions. You can also include into that any survey linework as a separate, or combined, base file. I don’t want to go into any software specific discussion here, I just want to look at a general workflow process for the life of a project. How do you do it? How should it be done? Make sure to check out the README before installing as there are certain steps to take. If you use AutoCAD 2013 or any AutoCAD 2013 based verticals (Civil 3D 2013, Architecture 2013, MEP 2013, etc.) along with a 3Dconnexion 3D mouse then you will want to install this hotfix. The point to a 3D Mouse is to speed up your design process so nothing is worse than software bugs. This hotfix is meant to improve the 3D mouse experience in AutoCAD 2013. Autodesk’s website notes that you need to make sure to install the AutoCAD 2013 Service Pack 1.1 before you install this hotfix. AutoCAD's eTransmit tool is a quick and easy way to gather all of the used files, data, sheet set info, fonts, xref's, etc. from a project in order to send the files to a client or to archive the project. 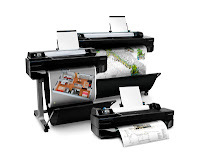 eTransmit will get every piece of data you used to create your drawings so that you can rest assured that you have everything. I use it to send project files to clients, municipalities, and for archiving. But before you use it, if you have any files currently open that you plan to eTransmit save them first. If you don;t save them first, eTransmit will not work. It will return an error message and stop working. You will have to save the file then start the eTransmit command again. Of course it stops once it has processed all of the drawing files. If you selected 100 drawings to eTransmit, it will process each one then end. Forcing you to sit through that again! The Android version of Autodesk Sketchbook PRO is currently 25 cents (USD) in the Google Play store right now! Buy it while it's dirt cheap! If you have an Android based Tablet and want Sketchbook Pro now is your chance. So go and check out Sketchbook Pro in Google Play and get this great application for so cheap it's practically free!! Autodesk has removed their Inventor 2013 SP1 patch just days after it was posted. The entire page containing the download file seems to have been removed. Evidently SP1 was “taken down this morning due to an unforeseen memory management regression” per Chris Mitchell’s (Autodesk Inventor Quality Assurance Team) post in the Inventor Forums. IMSI/Design announced today the release of their latest mobile app, TurboReview. 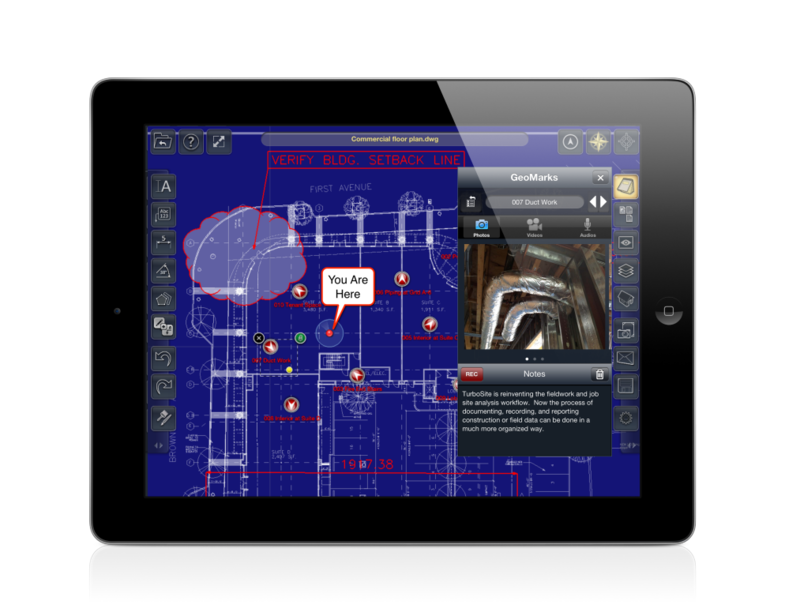 IMSI also makes TurboViewer CAD file viewer app for iOS and Android as well as TurboCAD, a full-fledged 3D and 2D CAD modeling platform. TurboReview is a mobile app available on iOS only. An Android version is currently in development and will eventually be available. IMSI did this with their other mobile apps, iOS first, then Android. Autodesk has expanded its Product Lifecycle Management tools with the recently announced purchase of Inforbix, LLC. Inforbix is a software company that focuses its products as cloud-based Software as a Service solutions that help users manage their product data. Inforbix products focused primarily on manufacturing product information support. Their tools allowed users to know, define, search, and analyze their own products. 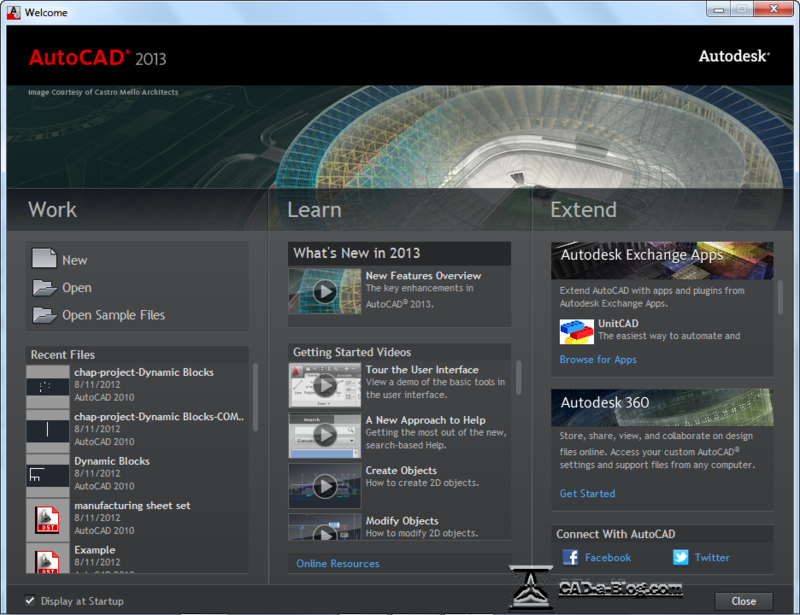 Earlier this week Autodesk released SP1 (Service Pack 1) for AutoCAD 2013. Now it has been removed. According to Autodesk’s Services and Support website the service pack was taken down temporarily because a “newly discovered fatal error” was found. OOPS!!! Autodesk is working on it, feverishly I would imagine, and hopes to have a new Service Pack posted soon. Question; Will this service pack be Service Pack 1A or Service Pack 2? Maybe Service Pack 1.1. Maybe it will be Service Pack 1 Service Pack 1. Autodesk announced yesterday that they will be closing the AutoCAD Exchange website and migrate its contents to other “popular networks” like Facebook, Twitter, and YouTube. That’s a shame. When AutoCAD Exchange first launched it had great promise. It was an online community hosted by Autodesk that had a lot of great content. It had Featured Videos, Tips and Tricks, Design Showcase, several resources and my favorite, “Ask the Expert”. I really liked Ask the Expert because they always had great people available to answer your questions. And those questions were archived so you could revisit them or search through them. It has been my experience that if one person has a question about CAD, somebody else does too. Again, it’s a shame it’s closing. However…the information will not be lost forever. It will be “migrated” to other networks. My latest AutoCAD training videos are out and ready for you to purchase. 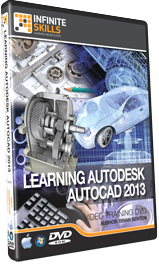 They are “Learning Autodesk AutoCAD 2013” and “Learning Autodesk AutoCAD LT 2013”. Each video contains about 15 hours of in-depth training on how to use AutoCAD and AutoCAD LT. They took a look at the latest tools that were added to Autodesk’s latest release of its premier design program. Each video title contains 15 chapters of hands on training and instruction. We start off by introducing you to AutoCAD and AutoCAD LT, how to install it, and what to expect when you turn it on. 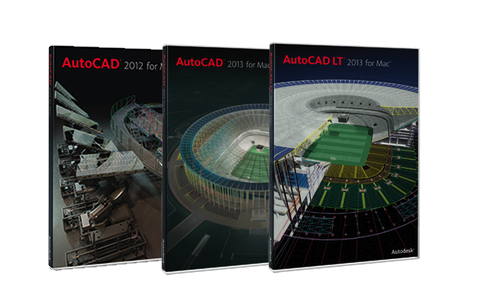 We then describe the latest features and tools that Autodesk added to AutoCAD and AutoCAD LT 2013. Autodesk Releases Autodesk Inventor Fusion for Mac for FREE!! Autodesk has released their 3D Direct Modeling software Inventor Fusion for Mac. It is available for download in the Mac App Store now and at a great price. Inventor Fusion for Mac is also Mountain Lion ready. Autodesk has announced that, at the moment, there is no AutoCAD 2012, 2013 for Mac support for Mac OS X10.8 Mountain Lion, Apple’s latest update to their OS. There is also no support for AutoCAD LT 2012 or 2013. According to Autodesk’s Services and Support website covering this issue, “undesirable effects can occur” if you have any of the above listed products installed on Mountain Lion. 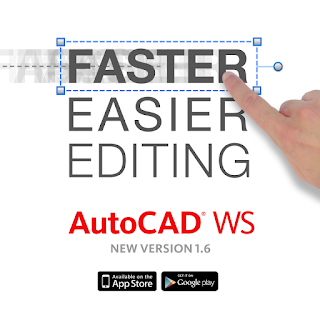 Autodesk has released the next version of AutoCAD WS Mobile. Release 1.5 has a very big new feature called Design Feed. Design Feed is a mechanism for context-specific posts that allow real time and asynchronous collaboration from within the drawing file. Our Internet is down; Too bad we aren’t using cloud services! When I got to the office today everything was fine on this Tuesday morning. Within 15 minutes my phone started ringing off the hook! THE INTERNET IS DOWN!!!!! Call after call of users asking if the internet connection was down. Most of those early conversations began something like this, “Is there a problem with the internet because I can’t connect to Gmail/my banks website/Facebook?” the caller would ask. Yes. If you can’t get to the internet there is a problem. In this case the problem was our ISP (Internet Service Provider.) They had an outage. In total we were without internet access from about 8:00 a.m. till 2:45 p.m., six almost seven hours. That’s a long time. Our CAD Techs and Engineers were all able to work on their respective projects, but the managers had a difficult time communicating with clients and local municipalities. The internet outage knocked out our email server. It couldn’t communicate with the rest of the world so we weren’t receiving nor were we sending emails. Since we also use a VOIP (Voice Over I.P.) phone system, our phones were down too. 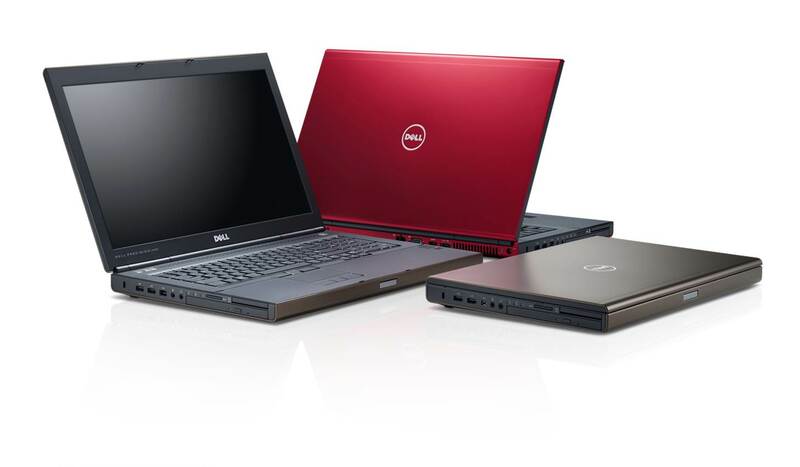 Dell adds to its workstation product line with two new systems, the Dell Precision M4700 and M6700. The M4700 is Dell’s 15-inch mobile workstation and the Dell Precision M6700 provides higher performing graphics with a 17-inch display. The popular Covet Edition is back on the 17-inch version, featuring a Phoenix Red color finish and edge to edge Corning® Gorilla® Glass 2 for brighter images and increased resilience and protection. The Dell Precision M4700 and M6700 incorporate the latest Intel Core i5, i7 and Extreme Edition processors with Turbo Boost Technology for optimal performance and an choice of professional graphics including the NVIDIA Quadro K-series GPUS and AMD FirePro graphics. The M6700 is the first and only to offer AMD FirePro M6000 with PCIe x16 Gen 3 for fast data throughput. The complete tutorial and reference to the world's leading CAD program, Mastering AutoCAD 2013 and AutoCAD LT 2013, is available and I helped to update it! 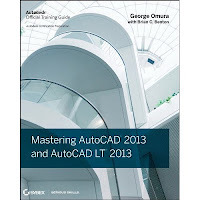 This book (1200 pages) covers everything in AutoCAD 2013 and AutoCAD LT 2013. Mastering AutoCAD 2013 is the Autodesk Official Training Guide and Autodesk Certification Preparation manual for AutoCAD 2013. It is published by Sybex, an imprint of Wiley, and is available in Paper Back or eBook. It is fully illustrated and comes with a CD containing example files and bonus material. Within AutoCAD a CTB file is used for plotting, and is known as a color-dependent plot style table. This file is used to assign characteristics to objects, based on the colors of the objects. A CTB file can assign numerous characteristics to objects, but in my experience, I’ve basically just used CTB files to assign lineweights to layers, in order to get the type of drawing plots I want. 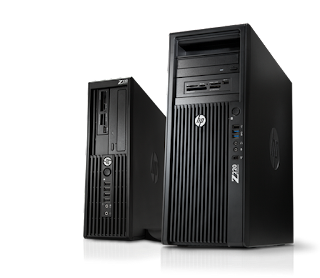 I had a chance to review one of HP’s Z series workstations, the HP z420 Workstation. 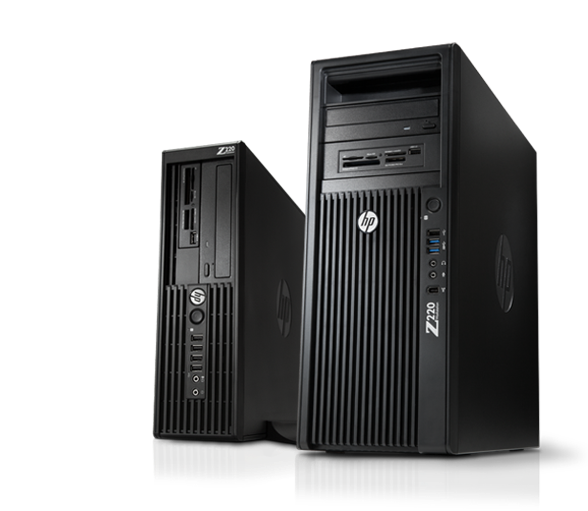 The z420 Workstation is a mid-range workstation. It is a balance between price and performance and at the time of this writing is HP’s best-selling Workstation (per my interview with HP.) Here is a brief review going over the basics and hitting on what I felt were the most important points. If you want more detail and a look at my review process keep reading. Autodesk announced today that it has signed an agreement to purchase Socialcam for approximately $60 million (USD). Socialcam is a mobile app that allows for video capture, editing and sharing. The deal is set to close in Autodesk’s third quarter of fiscal 2013 which ends on October 31, 2012. Socialcam is a small business (only 4 employees) that spun off of Justin.tv the prior year. 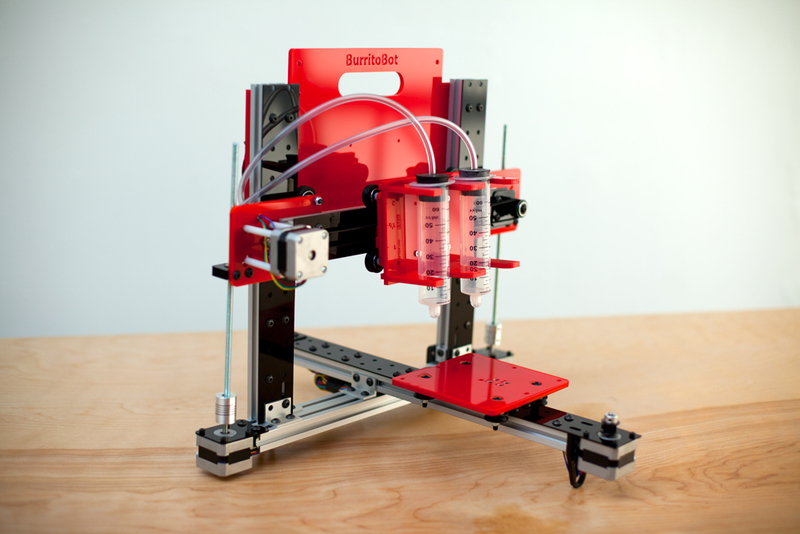 It has been able to receive funding and is now being purchased by Autodesk. Why would Autodesk want a mobile app that creates and edits videos? Why did they purchase Pixlr? For the same reasons they are making several mobile app versions of their own software and giving them all away for free. This is the consumerification of Autodesk. Autodesk has been producing high end software that, let’s face it, is very expensive. The average person can’t afford to purchase AutoCAD, let alone one of their design suites. Even if they could, why would they? Consumers make up a very large audience that Autodesk wasn’t reaching. Now Autodesk is making an effort to reach out to consumers. They have saturated the professional design market, the SFx market, and now they want the consumer market. Besides, Socialcam can always be marketed to professionals as well. How useful would it be to go to the job site, record an inspection video, edit it there and send it back to the client, office, approving agency, etc.? Very. I’m interested in seeing how Autodesk uses this soon to be acquisition. It hurts me to see people in an engineering office (or any office) fumble around in a hurried bustle trying to find a drawing(s) for a very important client meeting while freaking out! Seriously…I want to cry. I hurt from the inside. You know that scene in Star Wars, A New Hope, when Obi-Wan Kenobi is training Luke Skywalker on route to Alderaan via the Millennium Falcon? You know…when Obi-Wan is suddenly faint, is forced to sit down under the weight of death caused by the sudden destruction of an entire planet and says, “as if millions of voices suddenly cried out in terror, and were suddenly silenced” ? That’s how I feel when I see or hear this kind of story. Autodesk Labs has released an update for their free Technology Preview Project Geppetto. Project Geppetto is an ongoing research project from Autodesk. Its purpose is to make it easy for users to add large amounts of people (or crowds) to your 3ds Max scenes. Project Geppetto gives you tools to create realistic “people” motion, large amounts of humans roaming your design scene, and provides a framework for controlling and creating a scene with thousands of virtual people. Go to Autodesk Labs and check out the preview. Read more about what it does and how to do it. Autodesk is looking for guidance from the users on this project. If you like this tool or think that you might like this tool try it out. Get involved. Tell Autodesk what you think, what you like, what you don’t like and what you want. Archive an original AutoCAD file after you have made changes to it. I forgot to make a copy of this AutoCAD file before I started to change it. OOPS! It happens. So what can you do? First of all, if you are making a major change to an existing AutoCAD file it is a good idea to make a copy (an historical archive) of the file before you change it. That way you have an electronic copy of what you submitted that you can go back to. There are many reasons why you may need to revisit an old design or an older version of a drawing. 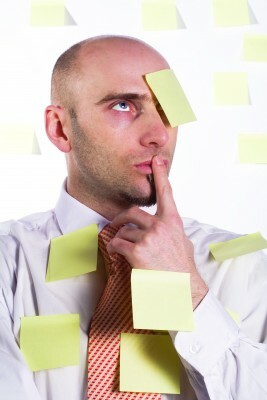 Minor changes may not require an archive, but what constitutes a minor change? CAD-a-Blog – June 2012 Posts you may have missed but shouldn’t have! Here are links to some posts from the month of June 2012 that you might have missed. ACAD/Medre.A Malware – An AutoCAD Based Virus that may be stealing your files and email contacts! For all of the posts from June 2012 for CAD-a-Blog. Unknown Command "whatever the command was". Press F1 for Help. Dealing with computer viruses is a pain. Windows users have been doing this for a while and recently many Mac computers were infected as well. It seems that nobody is safe anymore, or at least everybody should be weary and prepared. The same is true for AutoCAD users as recent headlines would show. The malware “virus” known as ACAD/Medre.A has made an impact in the country of Peru in the past few months according to ESET’s Threat Blog. ESET (an IT security company headquartered in Bratislava, Slovakia with branch offices in San Diego, U.S.A.; Wexford, Ireland; London, United Kingdom; Buenos Aires, Argentina; Prague, Czech Republic; Singapore and Kraków, Poland and was founded in 1992) shared the news on their Threat Blog and discussed the threat and what it was doing. Autodesk® has released their mobile engineering app for simulating design concepts ForceEffect™ for Android. It’s about time. ForceEffect™ is a simulation app that can perform calculations for you. Since it is on your mobile device you can perform these design calculations anywhere. All of your designs can be exported to a DXF file format which allows you to use your work in most of Autodesk’s design platforms. If you have been waiting for this app today is your day. Go to Google Play and download it. It is completely free. TechSmith has released its latest version of its screen capturing and video editing software Camtasia Studio 8 for Windows. It is available now. You can try it free for 30 days or purchase it for $300 (U.S.D.) Owners of Camtasia Studio 7 can upgrade for $99 (U.S.D.) but this is a limited-time only price. Upgrade now or spend more later. I use Camtasia Studio to create my AutoCAD Training videos so I can’t wait to start using Camtasia Studio 8. I am literally going to start my next video title this weekend and I will be using Camtasia 8 to do so. I plan on giving a full hands on review in the future. Autodesk announced and released a new Cloud Based service today called Autodesk BIM 360. Autodesk BIM 360 includes a set of services that provide cloud based access to BIM project information throughout the project’s lifecycle. Autodesk BIM 360 will work with several of Autodesk’s BIM solutions including Autodesk Building Design Suite and Autodesk Infrastructure Design Suite. "Cloud-connected workflows are giving our customers worldwide a better way to work with colleagues across their organizations and with business partners, clients and stakeholders,” said Amar Hanspal, Autodesk senior vice president, information modeling products. 3Dconnexion released the next update to their 3DxLabs Beta software 3DxWare 10. 3DxWare 10 (or 3D Mouse Anywhere) is a driver platform for 3Dconnexion 3D mice that allows them to work in any application. This software package allows users to take advantage of their 3D mouse in other programs besides CAD. That means you have even more input possibilities in your web browser (will it work in TinkerCAD? ), Word Processor, spreadsheet, you name it. Hardware, Software reviews. I do them. I am currently working on reviews for several different CAD related pieces of hardware (workstations, large format all in one printer/scanner, 3D mouse). I also have lined up some CAD related software to look at too (raster to vector, browser based CAD, non-browser based CAD). Go to the CONTACT page for details on contacting me. See Paul Munford's article on the new additions to Autodesk’s digital prototyping platform, Inventor. 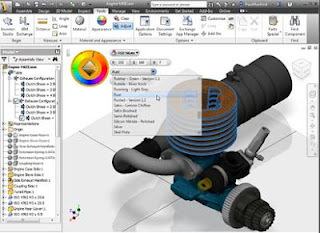 June 14, 2012 – 3Dconnexion today announced certified 3Dconnexion 3D mouse support in leading 3D CAD modeling software Autodesk® Inventor® 2013, including Autodesk® Inventor Professional®. This is good news for Inventor 2013 users that also use 3Dconnexion 3D mice. I may never buy a PC again!! I have been working with an HP Z420 Workstation review unit (yes a full review is coming, stay tuned) for over a week now and it has been a great experience. So far two things come to mind when I try to describe my experience: smooth and no crashing! That’s right… over one week of running AutoCAD Civil 3D 2011 and I have not had one crash! I’m sold. I don’t know if it’s the beefed up processor or the ECC (Error Correcting) high speed RAM. My experience has been so great that I am going to find it difficult to purchase a “regular” PC ever again. At least not for CAD work that is. 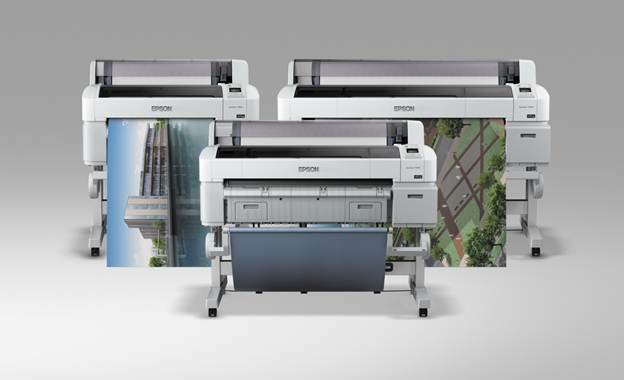 HP has announced some new additions to their workstation lineup. First up is an entry level workstation called the Z220. It features next-generation Intel® Core and Intel® Xeon® processors, the latest integrated and discrete professional graphics from Intel, NVIDIA and AMD and four integrated USB 3.0 high-speed ports. The Z220 entry-level workstation is available in a choice of an exceptionally expandable, Convertible Mini-Tower (CMT) or a highly compact Small Form Factor (SFF) that’s 65 percent smaller. Autodesk announced today that they have acquired Vela Systems. (See the press release here.) 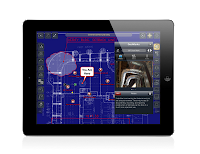 Vela Systems provides field management software for construction. They have partnered with Autodesk for some time now and, like many other software providers, they are now a part of the Autodesk family (see the history of Revit.) This acquisition is a great one for Autodesk. 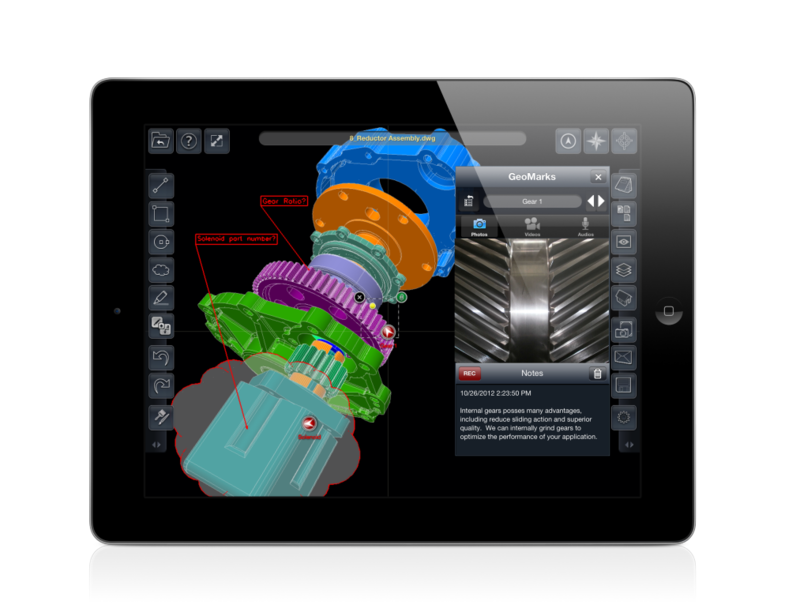 Vela’s software is a fantastic fit with what Autodesk has been trying to do this past year. Autodesk has created Autodesk 360, a cloud sharing and setting syncing service, Autodesk PLM 360, http://www.autodeskplm360.com , a cloud based Project Lifecycle Management system, and their integration of these services in their 2013 product release. Vela is all about BIM (Building Information Modeling) and can be applied, or made to be applicable, to most any construction project. Autodesk released a Hotfix for those that are having constant Autodesk 360 Sync errors. If you are using (or have used) Autodesk 360 (Autodesk’s cloud storage and settings syncing service) then you are probably getting an annoying error. All of the time. I am. Autodesk Labs has released their latest Technology Preview code named “Project Artoo.” (Don’t tell G.L. because he may come after them for licensing fees!) Project Artoo is the next Labs project from Autodesk. It is an AutoCAD® Map 3D 2013 software tool that lets users “clean up” their geospatial data. Its purpose is to produce higher quality files by improving accuracy. The Preview will last until February 1, 2013. I wrote a Guest Post for Shaan Hurley's Between the Lines blog while he is out in Africa playing with Autodesk toys. Check it out. Autodesk just released a hotfix for AutoCAD Civil 3D 2013 Survey. This hotfix repairs an issue with the Survey Figures Property Dialog where you could not see the vertex properties for chain type figures correctly. Go to the download page, download the ZIP file and follow the installation instructions. Make sure to fully read the Readme file before applying the hotfix. There are several warnings in it along with lists of proper procedures to follow. Good luck! It seems that this service pack fixes many stability issues, which is good. There are few worse things than having to work in an unstable software program. Check out the full Service Pack 2 readme file here for a full list of what issues were addressed. There are a hundreds of command and system variables in AutoCAD. Most of them make sense as to what they do with regards to their names. Others, not so much. Sometimes though some commands just tickle the funny bones of other AutoCAD users. Here is a list of some of those commands and what they do. This command will undelete the last object that you deleted. This is nice if you accidently delete something but don’t realize it until you have already done a lot of work. Normally you would UNDO the delete but you don’t want to UNDO your work! OOPS and it’s back. Shaan Hurley, Autodesk Blogger, Technology Evangelist, and full-fledged nerd is out of town (out of the country actually) flying Autodesk Octo-copters in Africa. Before he left he managed to get a few stand-ins for his blog Between the lines. Make sure that you are following all three of these blogs as they are top notch and among the best Autodesk bloggers you will find. Cadalyst Magazine has had a series of All-in-One CAD tips put together by one of my favorite CAD Guru’s Curt Moreno, the Kung Fu Drafter. 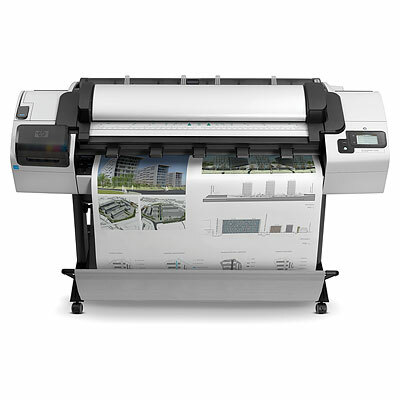 The series is sponsored by HP’s new “All-In-One” Workstation the Z1. On Tip Five, Mr. KFD asked me to lend a hand. I contributed the tip about using Autodesk Design Review. I’m so proud! Check it out and check out the other All-In-One tips from Cadalyst, KDF, and HP. If you are running AutoCAD 2012 or AutoCAD LT 2012 there is a new Service Pack now available for download and installation. Both service packs have a 32-bit and 64-vit version so make sure you download the proper one. If you aren’t sure which one you need you can always use the Autodesk Exchange Live Update Maintenance Patch to show you which service pack you need. Here is a link to the English Readme file for this installation. CAD-a-Blog is working on several hardware review posts right now that I know you will be interested in seeing. I know how difficult it can be when looking at new hardware. I've been there. Am there. We all need a resource that we can trust for fair, honest, and practical hardware information (and software.) That’s why CAD-a-Blog is on a quest to bring you the best hardware (and software) reviews out there. May 14th, 2012, Lenovo announced the Lenovo ThinkStaion E31, an entry-level workstation meant for professionals that need more power than a PC but are on a PC budget. The ThinkStation E31 comes in either a mini-tower or small form factor (SFF) case and both offer an Intel® Xeon® Processor E3 with enhanced memory performance and graphics abilities. AutoCAD commands can be entered via the keyboard in shorter versions called Command Aliases. These are typically two to three keystroke versions of the regular command. They allow for quicker input and require less effort. Most commands have them and there is an easy way to change them or to add more aliases to the default list. AUGI has released the AUGI World April edition for your reading pleasure. This month's AUGI World theme focuses on the many new features and updates to Autodesk's line of software. I have written the article "Little changes, Big Impact" and it is about the new features to AutoCAD 2013. Check it out and take a look at plethora of new features found in Autodesk's 2013 line of programs. Rumors have been flying around some time that Sketchup was being sold. Many believed that Dassault Systèmes would purchase it. Well they didn’t. Trimble (http://3d.trimble.com) has purchased it. Trimble (from their website) is “a leading provider of advanced positioning solutions that maximize productivity and enhance profitability.” Trimble is likely best known for their GPS technology. If you have ever done any surveying work then you have probably used some of their equipment at some point. On April 26th, 2012, Trimble announced that it has entered into an agreement to purchase Sketchup from Google. The purchase is expected to finalize in the second quarter of 2012.